I think I finally figured out why I'm not on board with juicing. Remember when Kindles came out, and some people yelled, "But books! The smells! The turning of pages, the goofy bookmarks/dog-ear-ing! The notes I scribble! The physical act of holding a wad of pages!"? Well, I just really like a big, crunchy, everything-included, ridiculous, colorful, freaking bowl of salad. To look at, to smell, to stab with my fork, to drop on the floor, etc etc. 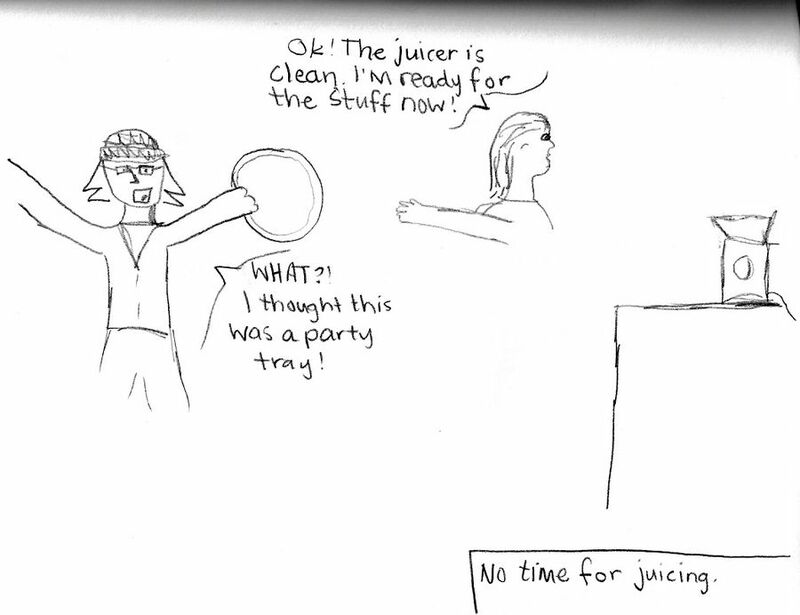 Plus, juicers sound like what happens when the vacuum cleaner captures some metal. In short, juicers are probably valid, but totally not my thing. Spinach Banana smoothies are my newest obsession. It's like dessert.